Although not as common as sliders or fixed panes, the awning window has its place and nothing can replace it. 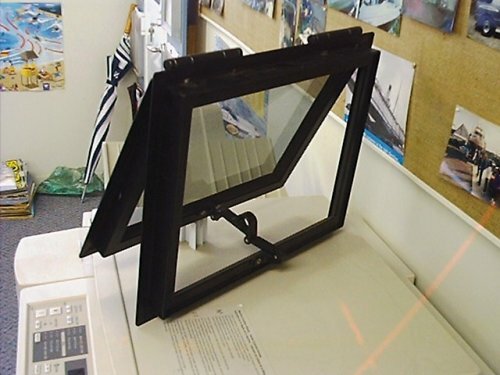 In the aft bulkhead of a boat, or sometimes in the wheelhouse facing fored, you may want to open the window hard up and latch it against the overhang. We can also fit stainless steel gas struts to hold it open. 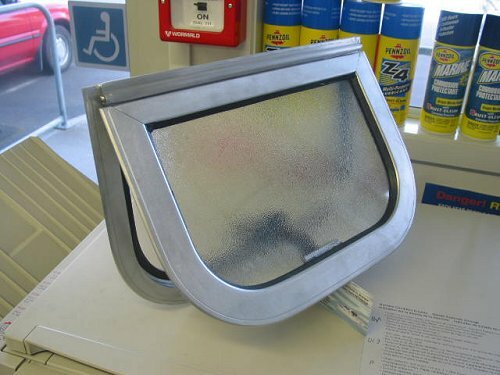 These windows completely remove the glass from the aperture and provide maximum ventilation. They need the space and opportunity to be un-obstructive when open, but if all that works, then they are a very good window to install. There are different options as far as hardware and again, these windows can be supplied with mitred or radiused corners. Radius option is 76mm, cut out in the vessel.